DESIGNED FOR RACERS BY RACERS. From the very beginning, Stand 21 was closely associated with racers to gather their feedback and engineer and manufacture products that often address needs and hazards unidentified by the drivers themselves. This is how Stand 21 became a respected well of innovation in safety. In 1984, Stand 21 invented and developed the outside-seam glove in collaboration with Ayrton Senna, a glove that has revolutionized steering feel. Above it all, Stand 21 is an innovating manufacturer on a mission to provide you, the racer, with the finest glove money can buy. 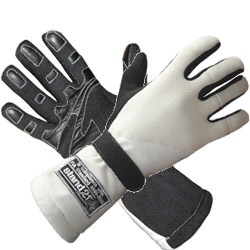 This is why we have always supplied the racer with handcrafted gloves made from the finest materials and premium-quality leather. It is what makes the product so unique and authentic, one that will guaranty you the best driving feel possible.